In addition to dynamic speaking, the night included several musical performances and moments of worship. 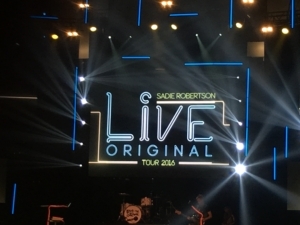 Reno kicked off the night with a few songs before Sadie welcomed guests and the official programming commenced. 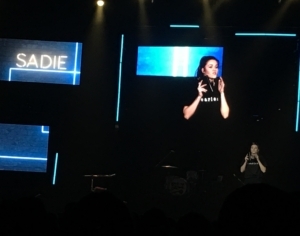 After Reed Robertson, accompanied by his fiancé Brighton, shared his personal battle with depression and suicidal ideations, he led a worship song alongside Love & The Outcome. The remainder of the Love & The Outcome set included a few of the Mercy residents’ favorite songs, including “Good Father.” The Mercy residents were especially excited to take part in the dance party led by Family Force Five following the event intermission. 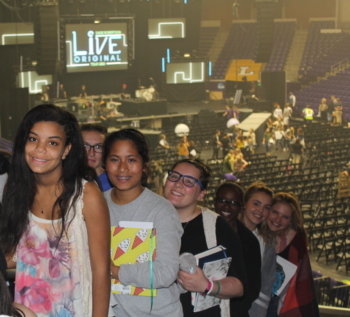 Sponsored by Help One Now, the Live Original Tour also presented an opportunity for attendees to make a global impact through Sadie’s One Squad giving program. Through monthly giving, attendees could support the impoverished in five different countries. Encouraging and inspirational events such as this are great additions to a resident’s stay at Mercy. 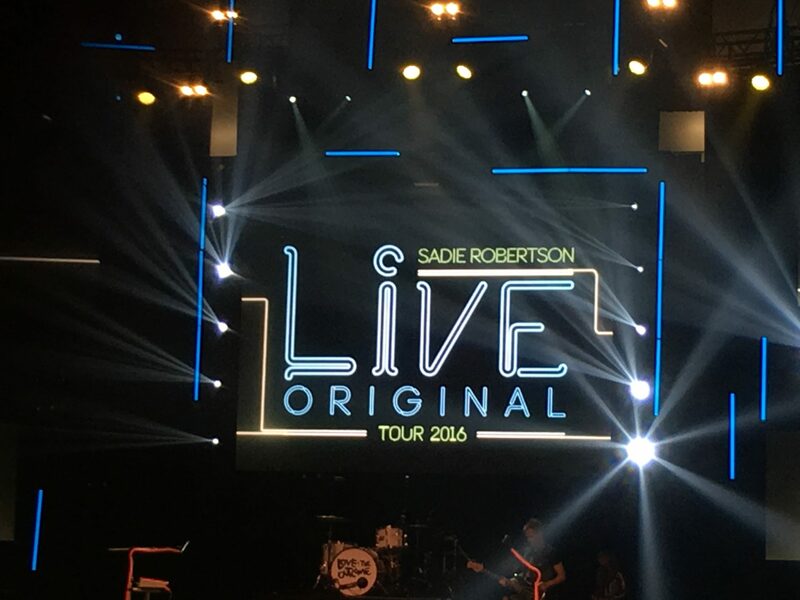 We are grateful to Sadie and the Robertson family for their support of our Mercy residents! Learn more about our residential program and application process.